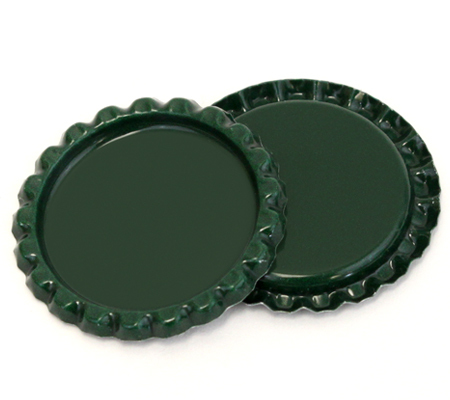 New, linerless, two-sided green flattened bottle caps. With color on both sides, these flattened bottle caps are the perfect low-profile embellishment for scrappers. Jewelry makers, if you like to design on the inside of the cap now your creations will have the added pop of the blue border.